Steve will be strolling through the Orillia Square Mall in Orillia, Ontario performing his close up magic from 11:30am until show time at NOON when the audience will enjoy a brand new Family Magic Show! Hope to see you at the Orillia Square Mall, just off Hwy 11 where West St. N turns into Burnside Line!! The Great Steverino will be returning to Dundalk, Ontario, where he will be performing a brand new Family Magic Show for children of all ages at 10AM at the Southgate Ruth Hargrave Memorial Library located at 80 Proton Street North. Family fun for everyone! 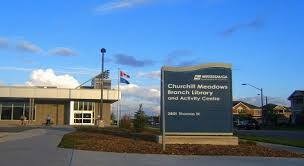 You may have seen The Great Steverino at the Churchill Meadows Library in Mississauga, Ontario last September. Well, he’s back!! Steve is excited to be back and he’ll be performing a brand new Family Magic Show for everyone at 2:30PM. The Great Steverino is back at Boston Pizza in Alliston, Ontario, located at 27 Young Street, where he will be making balloon animals for the kids from 12:30PM until show time at 1PM. Come see a brand new Family Magic Show (Show #6), not seen at Boston Pizza before. Hope to see you there! 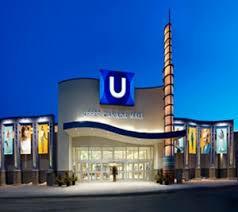 For the first time ever, The Great Steverino will be appearing at the Upper Canada Mall in Newmarket, Ontario, located at 17600 Yonge Street. Steve will be conducting his 45 min Magic Workshop combined with a 15 min original Family Magic Show at 4 different times: 11:30AM, 1:30PM, 3:30PM & 5:30PM. Come learn some great tricks that you can take home and amaze your friends with!! A Magical Way to end March Break! !